How to use the inject node to send the phrase “Hello World!” to the debug terminal 🙂 This is a classic getting started example and is usually done when first learning to program in a new language. None except for your raspberry pi already setup. Start Node-Red by clicking on the red Node-Red icon on the start menu under the “Programming” section. Start the Chromium web browser by clicking on the blue world icon on the top bar. Click on the “Node-Red” link inside Chromium on the bookmarks bar. Drag an inject node into your flow from the left node palette. 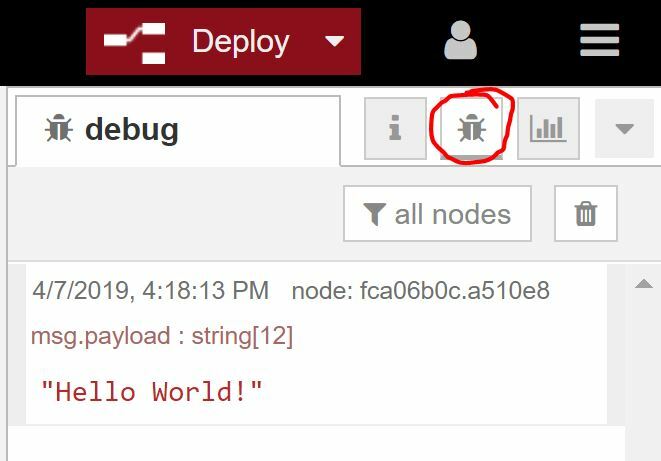 Type “Hello World!” into the Payload section just after the “string” datatype selector. Drag in a Debug node from the output node palette. Drag a connection line between the output of the inject node and the input of the debug node – click on the dots on the sides of the nodes to do this. 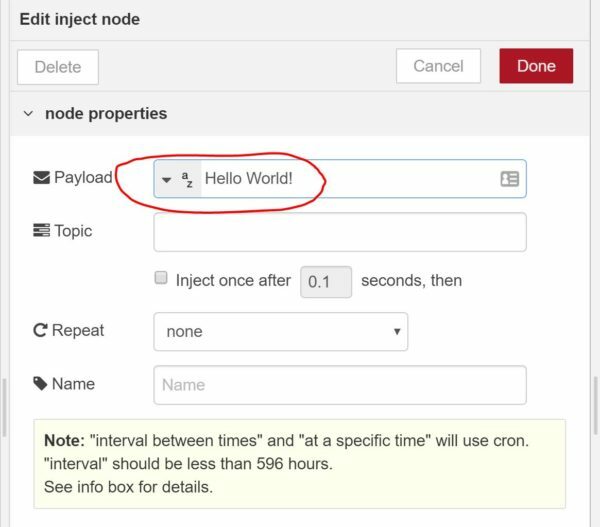 Click the button on the left of the Inject node. 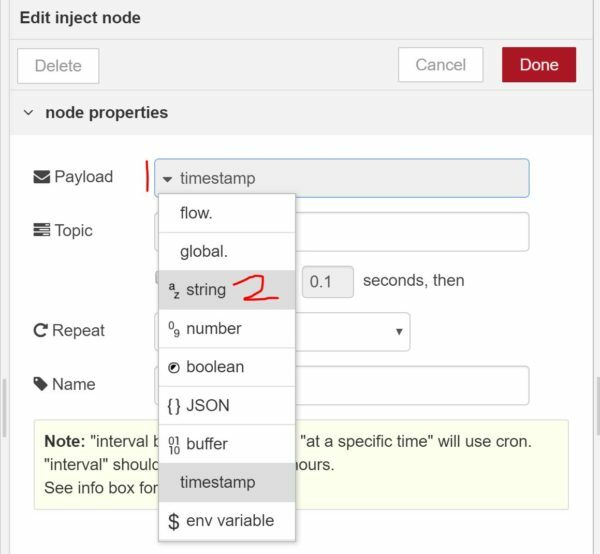 Inject and debug nodes will be used extensively throughout our other lessons and are the building blocks of understanding how JSON messages are sent between nodes.